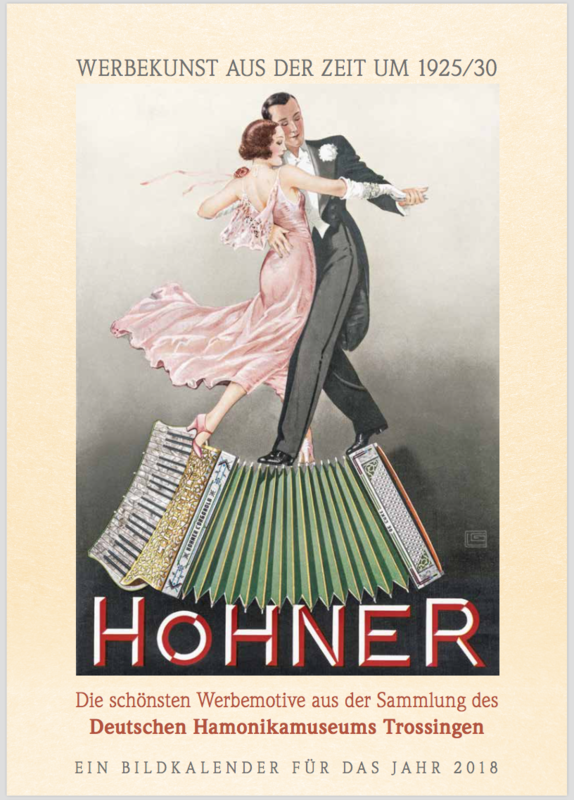 The large-format annual calendar 2018 contains 13 beautiful motifs from the harmonica and accordion advertising of the 1920s and early 1930s; some of them first published here. The calendar is only available at the German Harmonica and Accordion Museum. Sorry, content description is only available in German.